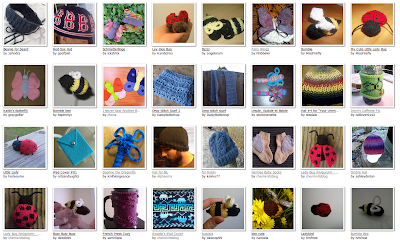 Today is Knitting Project of the Day's 500th post! Today I want to honor my follows, readers and fellow knitters who have enjoyed my free knitting patterns. 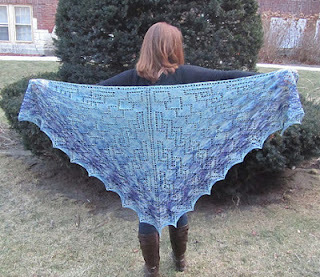 I spend some time on Ravelry (username ChemKnitsBlog), where I love seeing finished ChemKnits projects. I don't think I'll ever stop feeling excited when I see a newly uploaded photo. Thank you everyone for making my blogging activities a success. 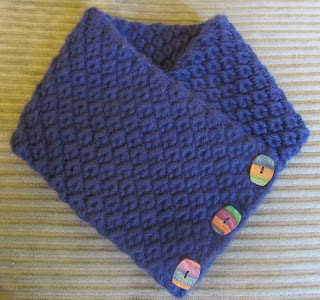 I have started a new group on Ravelry called ChemKnits Designs. If you would like to chat with me about my designs, or anything else fiber related I would love to hear from you! I started KPOTD because friends and family kept sending me amazing knitting projects, and I wanted an outlet to share them with the world. I felt (and still feel) that every kind of fiber artist a place of honor, not just designers. Through these 500 KPOTD posts, I have begun to notice some changes to how I find projects. Last March I created a ChemKnits Facebook page, and since then I've found myself sharing amazing knitting feats as I find them immediately. It seems silly for me to share something on KPOTD that I've already shared on Facebook. It is with a heavy heart that I announce that I will no longer be publishing amazing knitting projects daily here on KPOTD. (Don't worry, ChemKnits isn't going anywhere! ) I will continue to share amazing knitting projects on Facebook and/or Google+ as I find them, but not daily since they can no longer be scheduled in advance. Thank you for your faithful readership! I first learned about Stitch N' Pitch from the KnitPicks Blog. An event that combines baseball and knitting? Count me in! I was so bummed when I learned that there was a Stitch N' Pitch event at the White Sox earlier this summer. I missed it! You can bet that I'll be checking the 2013 calendar to see when they're hosting another Chicago event. Sometimes you need to create a pompom to complete your knit project. 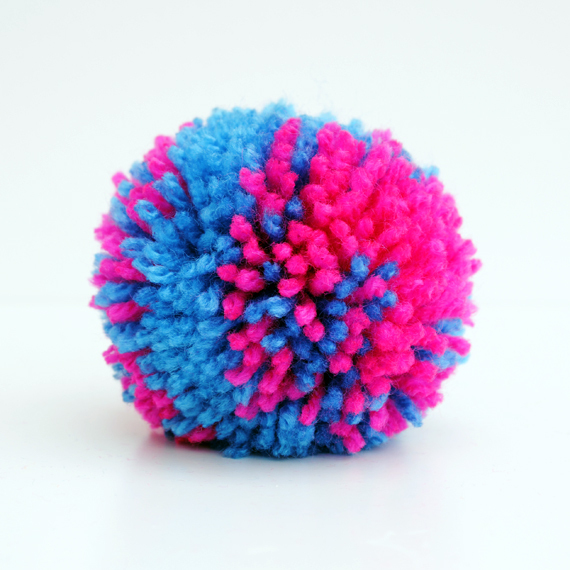 Once you start making pompoms, you'll find it hard to stop! As a young girl I had a kit to help me make them, but you really only need two pieces of cardboard to get yourself going. I am in love with the below photo. The frilly little pink knit dress is enough to make me swoon, but pair it with a dashing lad in a faux tuxedo vest and I've completely melted. I tend to prefer space dyeing to handpainting yarn because of the ease of the technique. But nothing can replace the precision you can acheive when you handpaint a skein of yarn. I have to say, this picture is eery because it really does look like she is wearing a swaeter. When you see the picture on the next page without her head, it still looks like there should be a body in it. 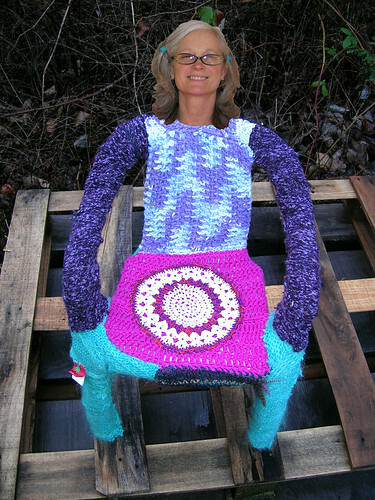 So is this a picture of a person acting like a chair, or of a yarn bombed chair? I cannot tell! 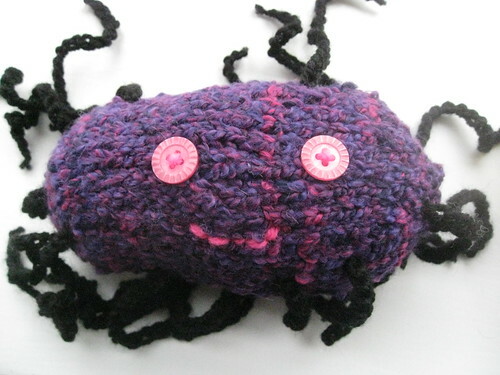 Now this doesn't quite look like the bacteria I used in my disserataion, but isn't it cute?